The Gazing Ball, a shining sphere of Quincy Granite moved from Constitution Common outside city hall to it's new temporary location, still in constitution common, to make way for the Adams Green. Which will run between city hall and the Church of the Presidents. The Inclined Plane Railway designed and built by Gridely Bryant in 1828 for the Granite Railway Conpany. Its purpose was to transport granite down from Pine Hill Ledge to the Granite Railway for transport to the wharf at Gullivers Creek and the Neponset River for shipment by granite sloops. The beautiful granite entrance to the new Central Middle School auditorium originally was the north entrance of the old Central Middle School. It was determined by the City of Quincy that this impressive Quincy granite entrance should be incorporated into the new Central Middle School. The contractor carefully disassembled the entrance and reassembled it at the entrance to Central's new auditorium. The doorway entrance is light to medium Quincy granite witih a beautifully carved laurel wreath and cornucopias. The granite manufacturer and sculptor is unknown to date. 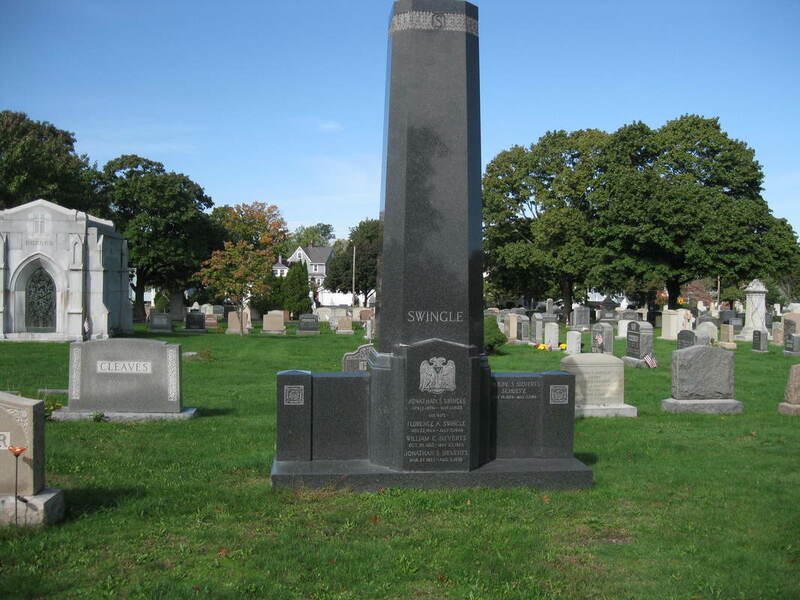 Swingle Monument in Mount Wollaston Cemetery is an example of extra dark Quincy granite from the J.S. Swingle quarry inWest Quincy. 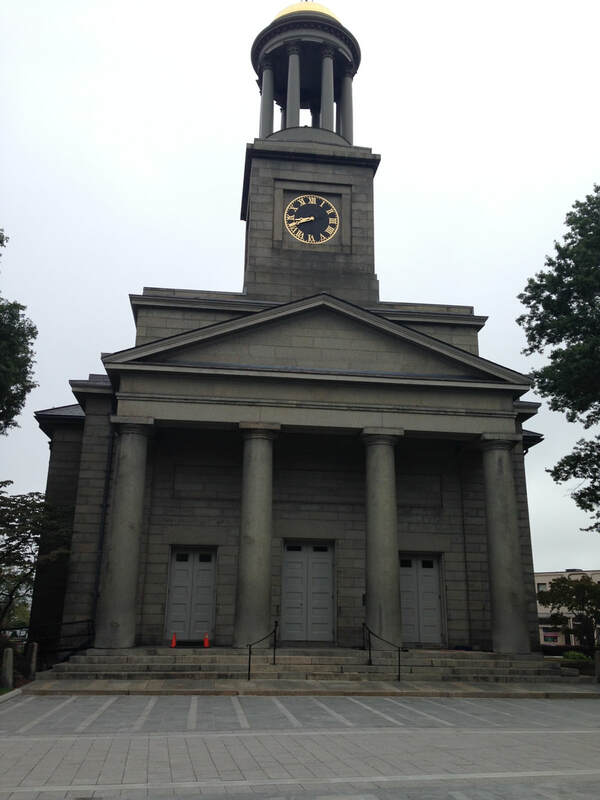 The Stone Temple designed and erected in 1827-28 by architect - engineer Alexander Parris, has been known as United First Parish Church, the Stone Temple and Church Of The Presidends was constructed in the Greek Revival style and built of Quincy Blue granite. The bulk of the granite for the church came from the Adams family quarry. The Granite Trust Building designed by J. Williams Beal & Sons and constructed in 1929 was the tallest building in Quincy at that period. 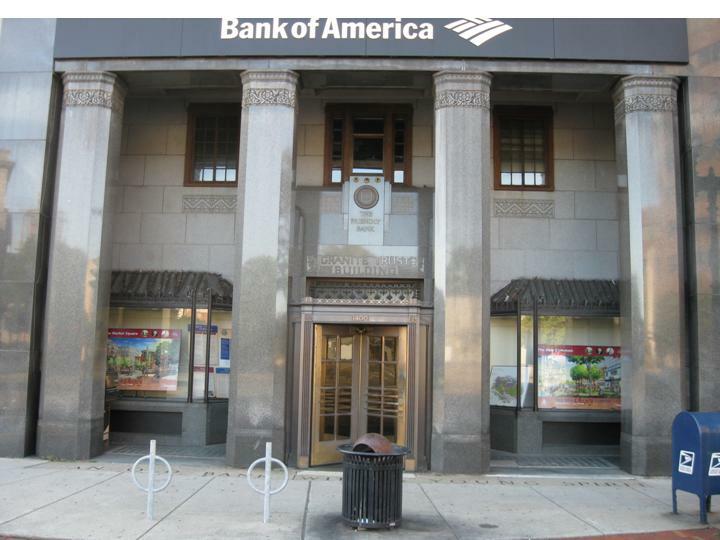 The ground level building facade is of dark Quincy granite from the Hitchcock Quarry that was owned by a group that included Theophilus King the president of the Granite Trust Bank in 1929. The Pilgrim Hall Museum is the nations oldest continuously operating Museum, located in Plymouth, Massachusetts. 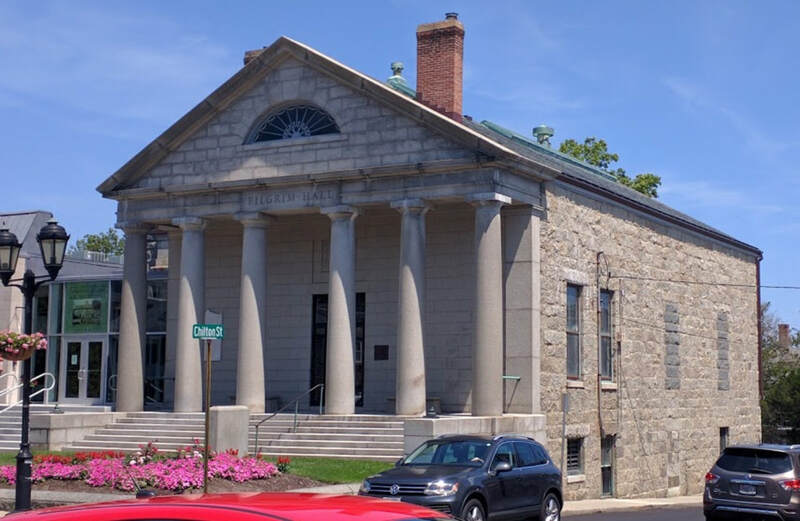 The Pilgrim Hall Museum was designed by Alexander Paris and built of Quincy granite and opened in 1824. 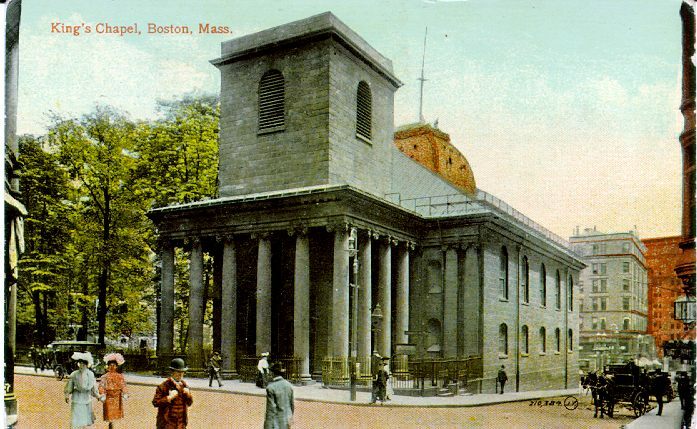 In 1922 the original wooden portico was replaced by the present granite six- column Greek Revival Temple front design. 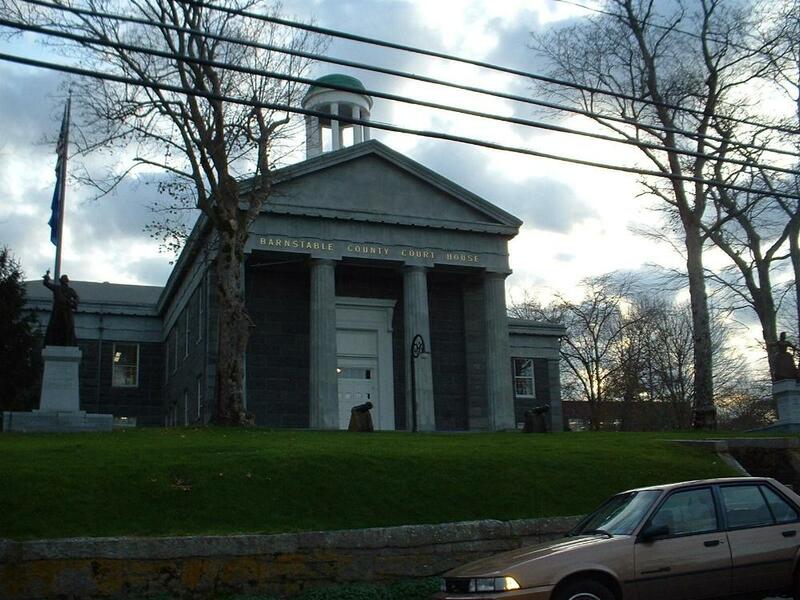 The Barnstable County Courthouse is a historic courthouse in Barnstable, Massachusetts located on Mass. route 6A also known as (The Old Kings Highway). The two-story Greek revival building was built in 1831 and designed by architect Alexander Paris. Built out all large Quincy granite blocks except for the front portico and fluted Doric columns are made out of wood fashion to look like stone. All of the expansions to the courthouse continued to use Quincy granite. ​ We will be adding new articles to this page, stop by again.